My group, which is east of I5, coordinated with the group west of I5 to have a public meeting last night with Ms. Juarez. John Lombard, chair of the North District Council group, gave a short but informative presentation on our district. Generally, Seattle north of downtown is seen as a relatively wealthy and ethnically European area, whereas south Seattle is more working class and diverse. Census data was presented that supports a different view. 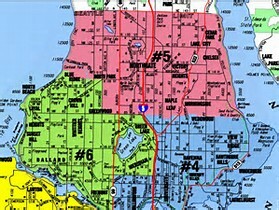 North of Ballard and the University district used to be an essentially working class suburb. Lake City (absorbed into Seattle sometime in the past) was a strip of used auto sales, repair shops, other semi-industrial spaces, and even strip joints. Many of the older apartment buildings in the district are run down and have low rents. There are a lot of recent immigrants in the area, and pockets where incomes are among the lowest in Seattle. Notably, District 5 has the lowest percentage of sidewalks in the city. North of the district are ritzier suburbs, resulting in a lot of traffic congestion in our streets. Debora Juarez talked about her priorites as a city council member. Overall, it amounted to getting the city government to recognize the inadequacy of resources directed to the district. Compared to other districts we have less sidewalks, less social services, less parks, and less community centers. While she claimed some wins in the 2016 budget, they were spotty and inadequate. In the current budget cycle she believes she is doing better. For instance, she believes there will be $6.5 million for a new community center. Also there is now a plan to add 1,400 affordable housing units in the Northgate area (which won't even meet current demand, but will be a big help). In the Q&A session one person suggested that Seattle establish an audit to determine if there was parity for spending and services across the districts. Debora said she thought that was a good idea and directed her staff to pursue that, on the spot. She believes such an audit would help direct a fairer share of help to the district. Invite the public, and you will hear some complaints. The most vocal complaints were about problems stemming from homeless encampments along Aurora Avenue. Debora explained what her and her staff can and cannot do in working with the city. She seemed quite aware of the issue. In fact, nothing was brought up that was novel. I believe almost every locality has these types of problems to some extent. Working on them takes money, and so they must be done over time, and must be prioritized. Since there were over 80 people in the audience, I did not get a chance to talk to Debora myself, though I did chat a bit with a staff member. I found Debora to be a good presenter and well-informed. When an audience member verbally attacked her, she was not happy about it, but kept her cool and answered in a reasonable manner. What I liked best was her emphasis on the community nature of governance. She has found that as one of nine council members, she needs support to get things done. She encouraged citizens to be active in the process of improving the district. She has an office in the district, so constituents don't have to go downtown to see her. We did not talk about national and international issues, but based on her local priorities I am sure she is progressive. So, always reserving the right to change my mind when facts change, I would support her for re-election if she decided to run again, but that would not be until 2019.